What’s new in the Stitchwerx Designs Shop? How about a hat inspired by something old? If you have been to my shop, you can see that I LOVE Vintage Styles, so it is no surprise that the 1920’s Flapper Style helped inspire my latest design, the Azalea Cloche. The Art Deco period is one of my favorite fashion eras so I draw inspiration from that period quite often. Although it is newly released, the Azalea Cloche is quickly becoming a shop favorite as it is a stylish choice for fashionable ladies of all ages. Sizes range from babies to adults. Dress it up or make it casual depending on your fabric choices. 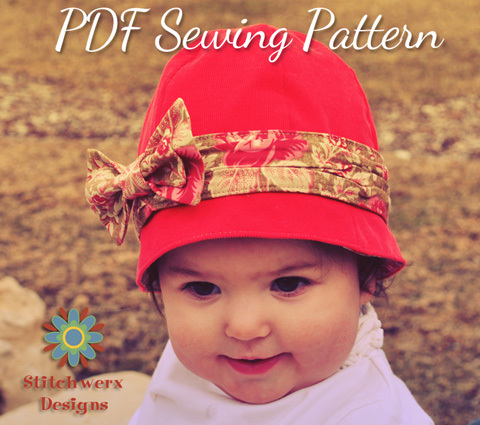 This Digital PDF pattern comes with additional instructions to make a ruched band, fabric flower & bow. Blog readers can save 15% Off through June 1st, 2013 on this lovely pattern & all the patterns in my etsy shop using coupon code: AZALEA15. All my patterns are now Instant Download PDF Files! This means no waiting for an email to get your digital PDF pattern! As soon as your payment has processed, your digital PDF pattern is ready for you to download. 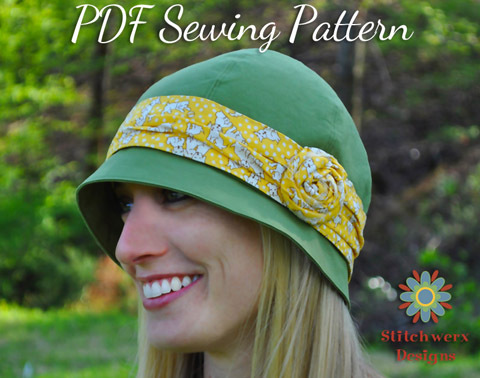 To find other fabulous hat patterns, stop by Stitchwerx Designs Shop Accessories Section. For the latest pattern releases, promotions & giveaways, follow me on Facebook & Twitter. 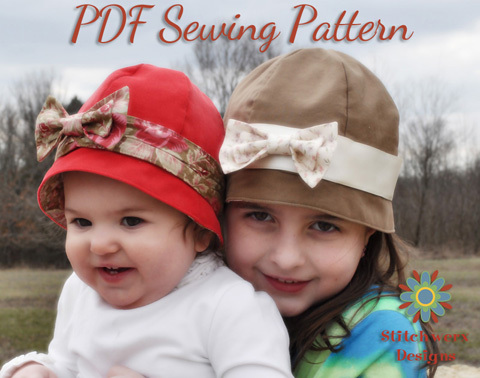 This entry was posted in Accessories, Children, Hats, Sewing, Sewing Patterns and tagged 1920s hat, cloche, cloche hat pattern, flapper hat, flapper hat pattern, hat, hat sewing pattern, sew vintage hat, vintage hat pattern. Bookmark the permalink.